In trying to find your next rental, you'll find that not all apartment search tools are alike. In fact, the range is pretty broad, with some offering a smattering of rental options while others, like Zillow and Rent Jungle and Padmapper (just to name a few), give you more options and sometimes, too many options. Then there's ForRent.com, a website that provides fairly standard features, including several different types of views in how apartments are listed, either by a running list, by photo or as a map view. It also allows you to specify your search by typical features such as number of bedrooms, price range and location (of course), in addition to selecting a more advance search option, allowing the searcher to narrow down their hunt to very specific criteria. For example, you can choose preferences categorized into apartment amenities, community amenities, pets, property type and photos/videos. Choosing one of these categories or all, allows you to select your criteria which means your search will probably produce a lot less options. This isn't unique to ForRent.com. In fact, it was difficult to find anything unique about this apartment search tool. That's not to say that it's terrible, rather it doesn't stand out in any way. The kind of search I can conduct on this site, is similar to a lot of other sites, that is, those sites that only show the large apartment complexes rather than individual postings. That means that you can't tell if an apartment is actually available or whether there are no vacancies; in other words, to find out more, you have to contact the apartment complex via the website. This kind of feature is always annoying. When I see an apartment I like, I want to be able to see if there are any upcoming vacancies so I can plan my move. If you find yourself using this kind of tool, where apartment availability isn't shown, I recommend Googling the apartment's name and contacted it directly rather than sending a note from ForRent.com. Now, that's of course the way I prefer to do my search. 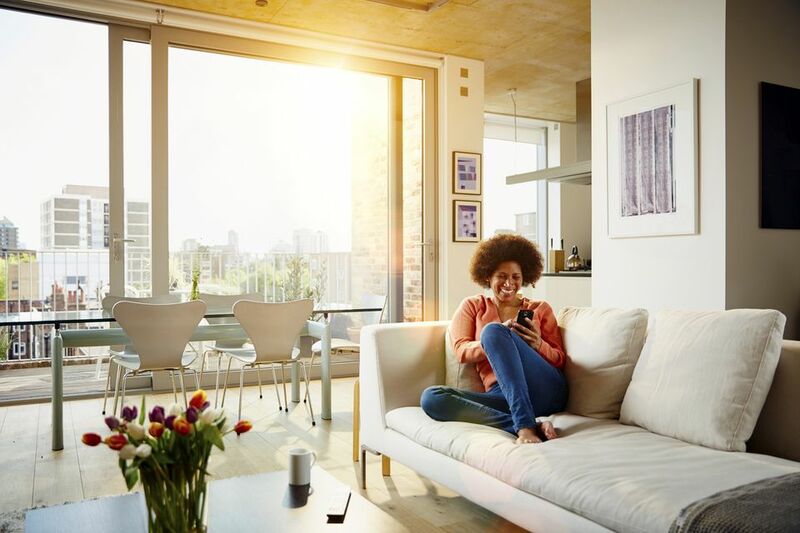 For those of you who don't mind signing up for an account, you can keep track of the apartments you like and the ones you've contacted, plus do a comparison across a maximum of four apartments in order to assess which one has the best features. While I didn't find ForRent.com special in any way, I did locate a couple of apartment complexes that I hadn't come across before. One of them, I'll definitely contact when it's time to finalize our move. That was definitely a welcomed surprise. All-in-all, I wouldn't discount ForRent.com, but it also won't be one of the first search tools I turn to when I'm hunting for an apartment to rent. Now, the above is really for that average apartment searcher rather than a, what I would call, sub-population of searchers, that is college students or seniors. ForRent.com provides links to specialized websites that cater to these two populations. It's a great idea, allowing students to search for off-campus housing and seniors, to look for housing that will suit their purposes as well. If you belong in either category, check out ForRent.com and let me know what you think. You can leave a comment below.